Murder by Gaslight: The Devil in Essex County. In honor of Halloween, I am switching, this week, from nineteenth century murder to seventeenth century witchcraft. Everyone knows of the mass hysteria surrounding the Salem witch trials in 1692, but as this excerpt from my book, Murder and Mayhem in Essex County, points out, fear of witchcraft, in Massachusetts, did not begin or end with the witch trials, and accusations of demonic possession spread far beyond the borders of Salem. Without a doubt the most nefarious events ever to take place in Essex County, Massachusetts, were the trials and executions of twenty women and men, and the imprisonment of dozens more, between 1692 and 1693, for practicing witchcraft. The witch trials in Salem have become synonymous with mass hysteria and injustice, and have left an indelible stain on the reputation of Salem, Massachusetts. The notion of accusing and punishing witches has become so tightly bound to Salem as to leave the impression that it was an isolated incident, a brief moment of insanity limited to that place and time, ending as suddenly as it began. In fact, accusations of witchcraft had a long history in Essex County, which neither began nor ended in Salem. In the decade before the witch trials, the Reverend John Hale twice had to deal with charges of witchcraft in the town of Beverly. Dorcas Hoar, known to own a book on palmistry, was believed to have advanced to more serious sorcery. Bridget Bishop, who owned two taverns and was fond of wearing a “red paragon bodice” trimmed in lace, was accused of malefaction in the death of a neighbor. Both of these women had been “called out” as witches by residents of Beverly, but Reverend Hale was slow to believe them evil and used his influence to clear the charges. Prior to the Salem trials, the most notorious witch in Essex County was Susana Martin of Amesbury who was first brought to court on charges of witchcraft in 1669 for allegedly bewitching a neighbor. The charges were dropped, but stories of her evil powers continued for the next twenty-three years. John Allen had put out fourteen head of cattle to feed on the salt grass at Salisbury Beach. The cows ran away from him “with violence … wholly diabolic” and were goaded by the devil to swim to Plum Island, and then out to sea. Only one cow came to her senses and returned to shore. At first Allen wondered what sin he had committed to earn God’s punishment, then he remembered that he had refused to hitch his ox cart to haul staves for Susana Martin and in a shrill, spiteful voice she had said, “Your oxen will never do you much service.” Surely, it was Susana who had sent the devil into his cattle. 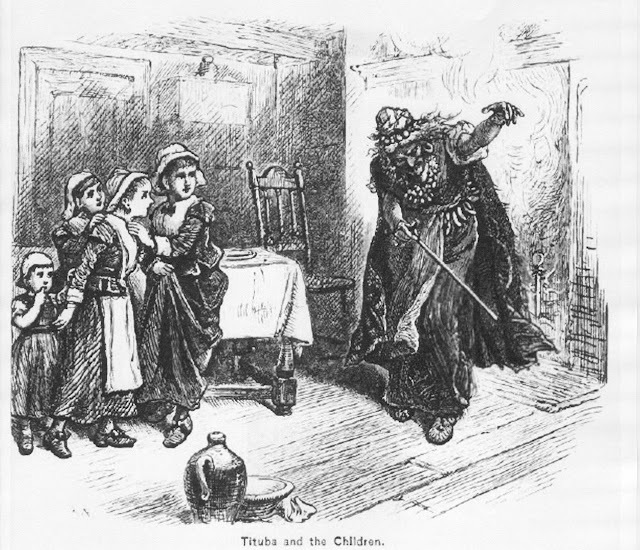 In general, even when a community believed there were witches in their midst, the suspects were seldom charged, and if charged, were seldom prosecuted. 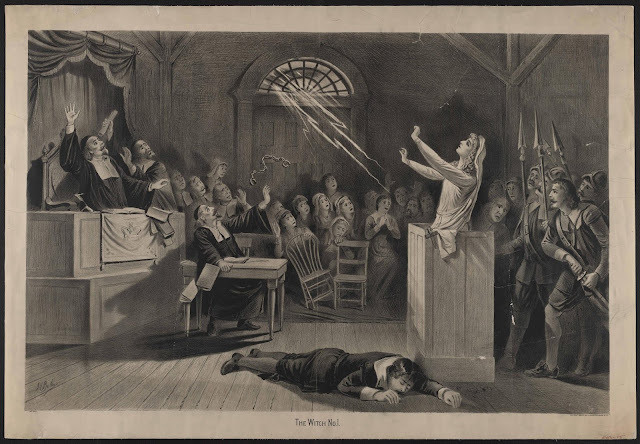 There was a Catch 22 in prosecuting witches under Puritan law: the testimony of those bewitched was the “devil’s evidence” and could not be trusted. But when the door was opened by the Salem trials, all of these women—Dorcas Hoar, Bridget Bishop, Mammy Redd, and Susana Martin—were tried, convicted, and sentenced to hang. So what happened in Salem Village in 1692 to change things so drastically? In May 1692, the Reverend Henry Gibbs, a visiting minister from Watertown watched the trial of Andover’s Martha Carrier, charged with being the “Queen of Hell.” After witnessing her accusers alternate between trancelike drones and earsplitting shrieks, with the queen herself refuting the charges in a voice even louder, he wrote in his diary, “Wonders I saw, but how to judge and conclude I am at a loss.” Three hundred years later we are still at a loss to conclude the root cause of the hysteria in Salem, but the steps leading up to it are well recorded. It began in the home of the Reverend Samuel Parris. Reverend Parris had spent some time in Barbados, and had come to Salem Village with two slaves; Tituba, a woman who was probably part African and part Native American, and her husband, John Indian. While not as common in New England as it was in the southern plantations, slavery was not against Puritan law, and many wealthy households employed slave labor. Reverend Parris’s nine-year-old daughter Elizabeth (called Betty), and her cousin seventeen-year-old Abigail Williams, who also lived with the Parrises, loved to listen to Tituba talk of her life in Barbados. The girls, especially Abigail, would push her to talk of spells, charms and the superstitions of her homeland. Abigail was probably most interested in fortunetelling which, though forbidden, was somewhat in vogue in the Puritan community at the time. A number of women were indulging in, what Cotton Mather called, “little sorceries,” using sieves, scissors, and candles to foretell the future. Books of palmistry were also in circulation among the otherwise righteous Puritan women of Essex County. As the word of their talks with Tituba spread among the adolescent girls of Salem Village, the circle grew to include at least eight more girls ranging in age from twelve to twenty as well as three married women. Just what they were learning from Tituba is not known, but it was certainly not knowledge of the Lord. The girls formed a tight bond of secrecy and were closer to each other than they were to anyone else. Betty and Abigail began exhibiting aberrant behavior during prayers in the Parris home. Reverend Parris noticed that Betty was not bowing her head, but sitting in a trancelike state. When he admonished her she began to bark like a dog. Abigail’s symptoms were even more extreme; she would get down on all fours and, while barking and braying like an animal, would hide under the furniture and sometimes go into convulsions. When the Lord’s Prayer was begun, Betty would scream at the top of her lungs and Abigail would cover her ears and stamp her feet to drown out the words. 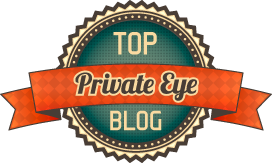 The Parrises tried to keep the problem to themselves, but word of Betty and Abigail’s strange behavior quickly spread, and as it did, as if by contagion, the behavior would manifest itself in the homes of other members of their circle. First Mary Walcott and Susana Sheldon suffered convulsions at the Walcott house, then Ann Putnam, then Ann and Mercy Lewis. This continued until there were afflicted girls in all parts of Salem Village. The girls’ behavior became more public and more extreme as they interrupted church services and prayer meetings. But now that they knew the girls were bewitched, the people of Salem Village were less concerned with the girls’ behavior then they were with finding out who had bewitched them. The afflicted girls remained silent on this; though they were pressured to talk, they would not say who was responsible. Finally Betty, who had been the most conflicted, believing herself already damned, blurted out Tituba’s name. Once Betty had broken, all the girls said Tituba, but they added the names of two women who were generally disliked by the community: Sarah Good and Sarah Osborn. On February 29, 1692 the women were arrested, even Sarah Osborn who was bedridden at the time. They all pled innocent, but the afflicted girls were present at their hearing and went into convulsions when the accused women spoke. Tituba was beaten by her master when she denied the charges, but eventually she learned to give the white men what they wanted to hear. She admitted to being a witch, that the devil had asked her to serve him with four other women; two of the four were Good and Osborn. She also told of a ride they had all taken on a stick or pole. This was enough; all three were sent to jail in Ipswich. Then the hysteria began. Martha Corey, who had expressed skepticism over the girls’ bewitchment, was called out as a witch. Rebecca Nurse, previously considered among the most righteous women in Salem Village, was accused. Then Dorcas Good, a little girl between four and five years old, was condemned. The charges continued as more and more residents of Salem Village were arrested for witchcraft. The accused were strongly pressured to confess, and those who did not confess ran the risk of having all of their female relatives arrested as well. Those who did confess fared better than those who did not. The accused witches and wizards who did not confess were brought to trial, and all who were tried were found guilty and sentenced to death. On June 10, 1692, Sarah Bishop was hanged on Gallows Hill in Salem Village. On July 19, five more visited Gallows Hill—Rebecca Nurse, Sarah Good, Elizabeth How, Sarah Wild, and Susana Martin. Giles Corey, in his eighties, had been persuaded to testify against his wife Martha, but later came to his senses and recanted his testimony. When brought to court to answer his own charges, Corey refused to speak. And after failing to speak in three trials he was taken to a field, stripped of his clothing, and pressed to death by piling stones on a board placed on his body. August 19, Martha Carrier and Reverend George Boroughs—“the king and queen of hell”—were hanged along with four other men. On September 22, seven witches and one wizard—“eight firebrands of hell,” Reverend Nicholas Noyes called them—were hanged together on Gallows Hill. 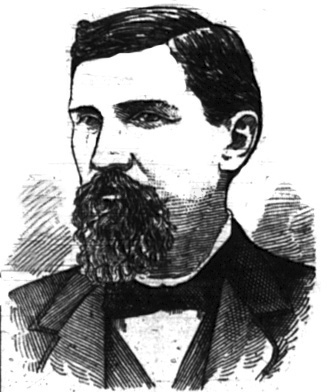 Around the time of Martha Carrier’s trial, Joseph Ballard of Andover began to suspect that his wife had been bewitched. She had been bedridden for a long time with an illness that the local doctors could not diagnose. Ballard decided he needed an outside opinion and sent for the afflicted girls of Salem Village. Twelve-year-old Ann Putnam, accompanied by sixteen-year-old Mary Wolcott, rode to Andover on horseback. Unlike Salem Village, where a certain segment of the population had always harbored suspicions of the afflicted girls—albeit less vocally as the danger increased—in Andover they were treated like royalty. The girls were taken to the home of Thomas Ballard to see his sick wife, then to sickrooms in other houses, and in every case saw the same spectral vision: one witch standing at the patient’s head and another at his feet. Often when the girls reported their vision, other young people in the house would howl and convulse, claiming they saw the spirits too. Because they were in a strange town, the girls could not identify the witches by name so a “touch test” was proposed by a conclave of civic-minded citizens, which included Reverend Bernard and Justice of the Peace, Dudley Bradstreet. In each house the residents would be led blindfolded to the girls, who would then touch each one with their hands. If the girls gasped or trembled, the phenomenon, witnessed by all present, would prove that the person touched was a witch. The problem for Andover was that this test returned positive results as often as not. Though at the start no one expected to find more than six or seven witches, the community now had more witches than it could handle. After signing forty arrest warrants, Justice Bradstreet declared he would sign no more, though more witches had been accused. Bradstreet himself was cried out as a wizard. Another problem was that, unlike Salem Village, where the girls began by accusing those that the community agreed were the likeliest suspects, in Andover the girls did not know the character of the people and were just as likely to accuse an upstanding citizen as they were an outcast. Incredibly, most of the accused, though astonished to be exposed as witches, could not deny such compelling evidence and began searching their memories for openings they may have given the devil. Mary Osgood, whose husband was a church deacon, remembered that, twelve years earlier, after the birth of her last child, she had been ill and unhappy. No doubt the devil caught her then. Samuel Wardwell remembered that he had sometimes said “the devil take it” when an animal got into his field. Then he recalled that at the time of his unrequited love for maid Barker he had seen an assemblage of cats. Under further interrogation from the magistrates, Wardwell recalled that the “Prince of the Air” (Satan) had been with the cats and had made him promises, sworn him to a covenant for sixty years, and baptized him in the Shaw Shin (now called Shawsheen) River. William Barker said he had joined the devil because he had tired of the Puritan’s preoccupation with damnation, and found appealing the devil’s promise that all men would be equal and “live bravely.” He also claimed to know that there were exactly 307 practicing witches in Essex County. At its height, the frenzy in Andover was even greater than it was in Salem Village. Accusations continued there until October 1692, when a dog was shot to death after a convulsing Andover girl claimed that its specter had afflicted her. This was troubling to Reverend Increase Mather, who had been involved in the prosecution of witches. If the dog was actually a devil in disguise, he reasoned, no one would have been able to kill it. Since the dog had been killed it could not have been capable of magic. The same month, some Andover girls accused “a worthy gentleman of Boston.” The worthy gentleman turned around and swore out a writ against his accusers demanding a thousand pounds for defamation. The threat of lawsuits effectively ended accusation of witchcraft in Andover, but not before one of its citizens had been hanged, and at least fifty more were imprisoned, awaiting trial. Also in October, the people of Salem Village began to have serious doubts about the afflicted girls when the wife of Reverend John Hale of Beverly was cried out. Hale, who had at first been reluctant to prosecute witches, had become one of the leaders of the prosecution. But accusations still did not end. Later in October, the Town of Gloucester sent for the girls. In July the town had fought off an invasion of devils that had swarmed out of the swamp. The garrison that fought them knew they were spectral because bullets could not stop them. The afflicted girls called out four witches in Gloucester, but upon returning to Salem had trouble finding lodging, and eventually ended up in Ipswich. In November, they were called again to Gloucester. While crossing the Ipswich Bridge they met an old woman and went into their usual fits, accusing her of witchcraft. But Ipswich had not sent for the girls and the people there were fed up with witchcraft; the antics were ignored. There were no further accusations. A group of twelve citizens of Andover, led by Reverend Francis Dane, one of the few heroes of witchcraft hysteria, petitioned the governor to release, on bail, their wives and children, some as young as eight years old. They were facing a cold winter in prisons that were old and in disrepair, and were never intended to hold so many. This was followed by petitions from Topsfield, Gloucester, Haverhill and Chelmsford. Governor Phipps agreed to release those who were held only on spectral evidence, the rest he made the charge of the judges, who would be responsible for their welfare. In January, the Massachusetts Bay Colony moved to continue the witch trials with some significant differences. The trials would not be held in Salem; the location would be determined by the home of the accused. And, most importantly, spectral evidence would be disallowed. Because of this rule, charges were dropped against forty-nine of the fifty-two awaiting trial. In the end, Governor Phipps pardoned the remaining three along with everyone already convicted of witchcraft. That spring, as if waking from a long and horrible nightmare, the people of Essex County did their best to put the memory of the witch trials behind them. 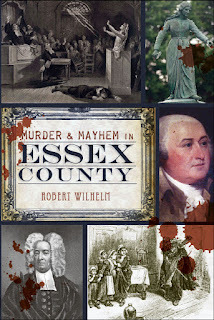 From Murder and Mayhem in Essex County by Robert Wilhelm, History Press, 2011.